Original Content: Aren't All Science Fairs Freaky? 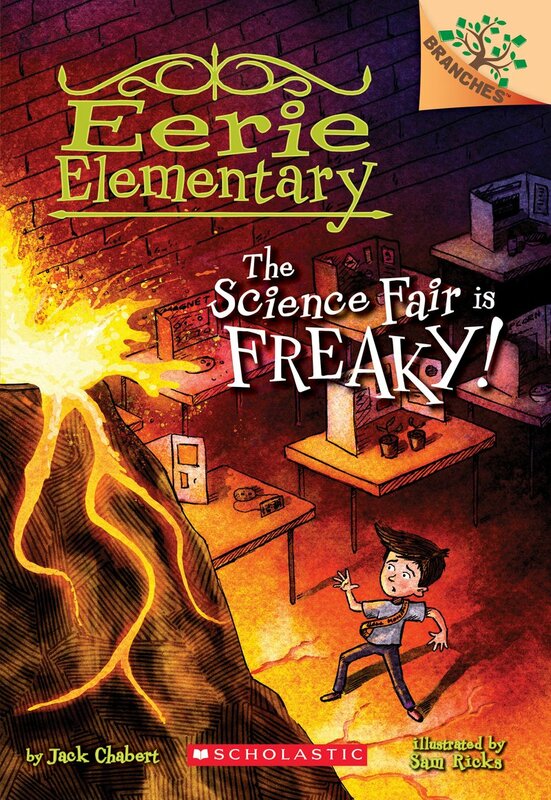 Eerie Elementary: The Science Fair is Freaky! by Jack Chabert with illustrations by Sam Ricks is one of the best chapter books I've read, even though it does involve a science fair, a volcano project, and three friends, which, yes, has been done before. By me, if I'm being honest. This is part of a series in which three elementary students know that their school is controlled/inhabited by the mad scientist who designed it a century earlier. (A good reason to retire old school buildings.) The book is a coherent story about the kids finding a mysterious book that the school wants to get back with a climactic scene at the science fair. In addition to the decent story and writing, there's something about a school being evil and some children (one being a hall monitor) protecting others from it that is kind of deep. Profound or meaningful or something.